But I cannot stay here: babies are being born in safety, people are finding their way, and the little things must still be occasions for joy, even in the midst of such powerful and deep grief. 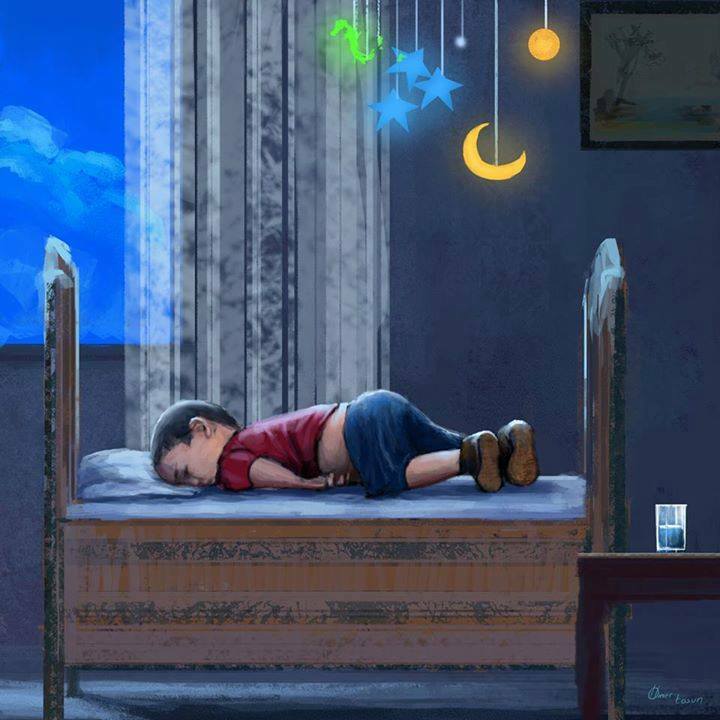 Though I mourn for this small boy, his only-slightly-less-small brother, and his parents, I must hope. I must hope and allow joy to break through. So I turn to one of my very favorite passages in a very good book: The Return of the Prodigal Son, by Henri Nouwen. He talks in this passage about ‘a friend’ whom I have always admired. (I think it is Jean Vanier, but Jean doesn’t admit it!) I pray that we can all find this joy and allow it to give us courage as we work to make the world a place in which small boys and girls play and sleep and laugh in safety. The father of the prodigal son gives himself totally to the joy that his returning son brings to him. I have to learn from that. I have to learn to “steal” all the real joy there is to steal and lift it up for others to see. Yes, I know that not everybody has been converted yet, that there is not yet peace everywhere, that all pain has not yet been taken away, but still, I see people turning and returning home; I hear voices that pray; I notice moments of forgiveness, and I witness many signs of hope. I don’t have to wait until all is well, but I can celebrate every little hint of the Kingdom that is at hand. This is a real discipline. It requires choosing for the light even when there is much darkness to frighten me, choosing for life when even when the forces of death are so visible, and choosing for the truth even when I am surrounded with lies. I am tempted to be so impressed by the obvious sadness of the human condition that I no longer claim the joy manifesting itself in many small but very real ways. The reward of choosing joy is joy itself. Living among people with mental disabilities has convinced me of that. There is so much rejection, pain, and, woundedness among us, but once you choose to claim the joy hidden in the midst of all suffering, life becomes celebration. Joy never denies the sadness, but transforms it to a fertile soil for more joy. I don’t know how to celebrate in the midst of this deep sadness. I don’t know how not to feel guilty about the comfort and safety of my situation. So for the dead, I pray, let perpetual light shine on them; may they rest in peace. And for myself and all the world, I pray, kyrie eleison.